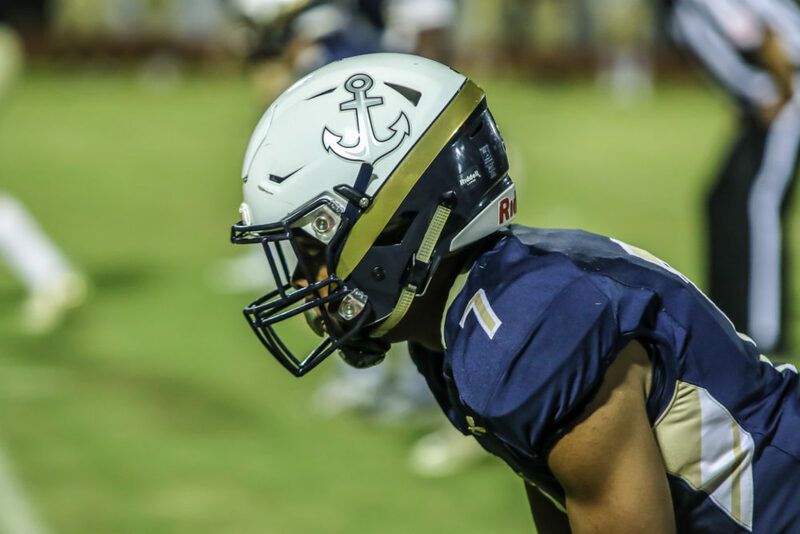 “The most important thing that we want outsiders of the program to know is how amazing these kids are…” ~ Coach Bob Lindsey, Defensive Coordinator of the Admiral Farragut Blue Jackets. 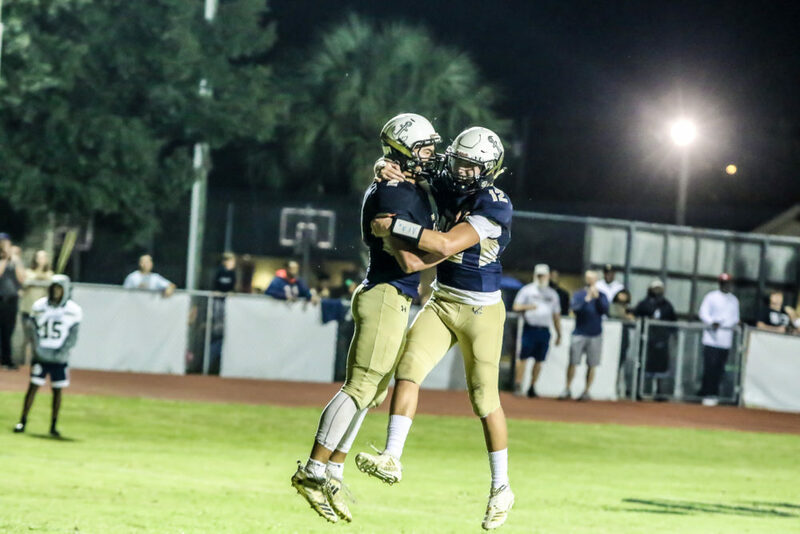 St. Petersburg, November 27, 2018- Admiral Farragut is rubbernecking some respective heads this 2018 season, sitting pretty at a near seamless 10-1 and 4-0 in their respected district. The Blue Jackets may not have all the man power in roster depth, but they have raw, unmatched hungry talent oozing from their foundation. Here’s a between the lines look into why this 2A program is thriving so consistently around the county. “To start, we have a great coaching staff, these guys don’t get enough credit; Bob Lindsey our defensive coordinator, Craig Watts our offensive coordinator, Deshaun Blue on back end of the defense, and on special teams, Jamal Fernandez. 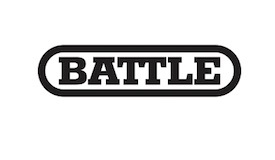 They have got these kids motivated and if the kids don’t have fun they won’t play as well among other things, so they have to stay focused in practice but the coaches have done an outstanding job in that area. Takes a special group of guys to keep everything running smooth,” states Head Coach Rick Kravitz passionately. Little things make the big picture, and this staff is just as invested and determined as this youthful, tenacious squad- especially on the road. The Navy and Vegas Gold haven’t looked back, moving the chains and preserving their 8-win streak. They possess a perfect 5-0 away record, 3-1 at their home stomping grounds! “We have a young man from Jordan named Kamel Ajlouni at defensive end, he’s 6’1” 212 pounds. He’s never really played football in America and has 12 sacks this season as a junior- came out of nowhere. Kamel has really pushed some of the other guys on the D-line to get better. 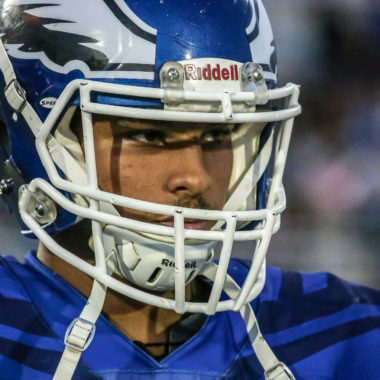 Also defensive end Steel Sherman and Linebacker Peyton Smrekar, whom transferred in for their senior season, have really helped anchor key spots for us to be ultra-productive unit,” explains Defensive Coordinator Bob Lindsey whole heartedly. We’ve got a lot of young kids, also a few seniors still with us. Antonio Johnson, senior Psaveon Reaves has had a spectacular season at wide receiver and cornerback, senior LB and RB Lorenzo Valencia has picked up a lot of the slack and some of these other guys who haven’t gotten too many reps for the guys that have unfortunately gone down, we don’t have quite the depth right now. 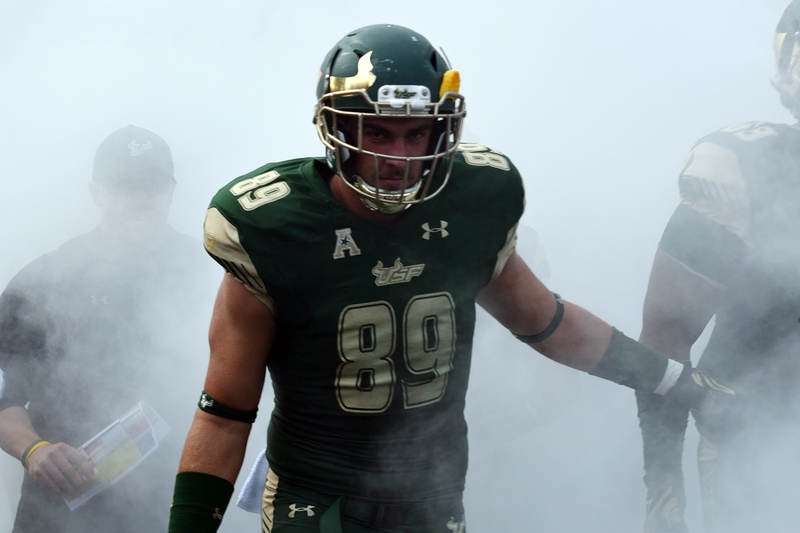 I was coaching at USF while our defensive coordinator, Bob Lindsey was in high school. Bob has a vast knowledge on different things, very knowledge and brings a different knowledge from a different perspective he played in German leagues, star receiver over there, so he brings that professional level to our receivers. All our coaches a great in that way, we’re lucky we can dissect and put ideas together. You do look ahead but every game is another blessed opportunity, seniors understand it because we haven’t gotten to this point but this young group needs to realize we might not get this shot again. They’ve done a better job in last couple weeks coming together, and the team were about to face is tremendously talented, a physical game ahead. The team that plays their best in all aspects will win. The school has gone great lengths for us as a supportive cast, the other day they went out of their way on thanksgiving to make breakfast for us. Other people and parents volunteer for us to help with anything and when you get that kind of support it really benefits the program; academically we thrive too because they supply us with every need to keep kids sharp on and off the field, so they’ve been a great backing system for all of us. Every senior that has left here has had a chance for college- they just help us achieve your goals and that’s what makes it such a special place. I am Coach Kravitz’s nephew, which allowed me to study under him my whole coaching career either on my own or working with him. When we both left coaching college, one of our main goals was to coach with either him and just enjoy the ride. I know on my end when I came from college I could not run the complex schemes, we just do not have time to put them together and rep them. So with that, here at AFA we take college scheme and mold it to fit our kids, what they can do and do it fast. That also changes year to year because in 2A, our personnel can change from semester to semester with limited numbers. 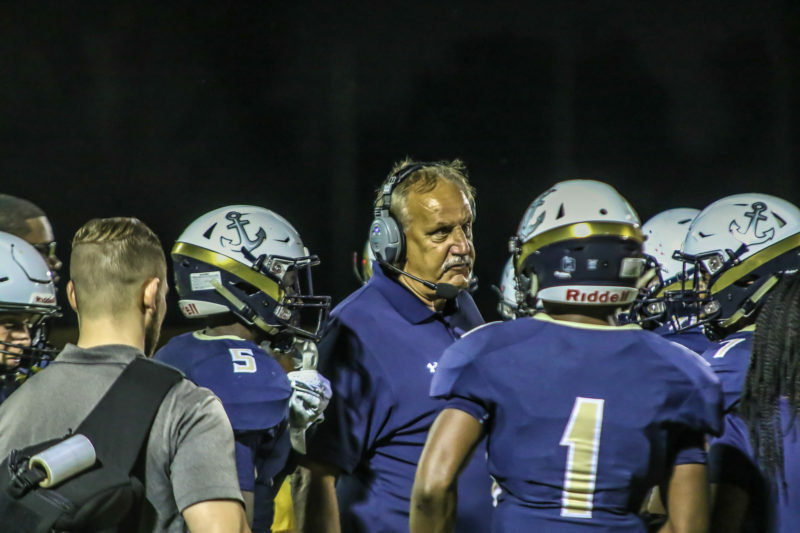 Last week, Head Coach Kravitz and his boys defeated Seffner Christian 20-7 in their FHSAA class 2A region 3 football playoff run. In this Friday’s neutral playoff matchup kicking off 7:30p, they will be put to the test against another worthy opponent, seeking to keep the streak alive verse the 8-5 Champagnat Catholic Lions. Show out!